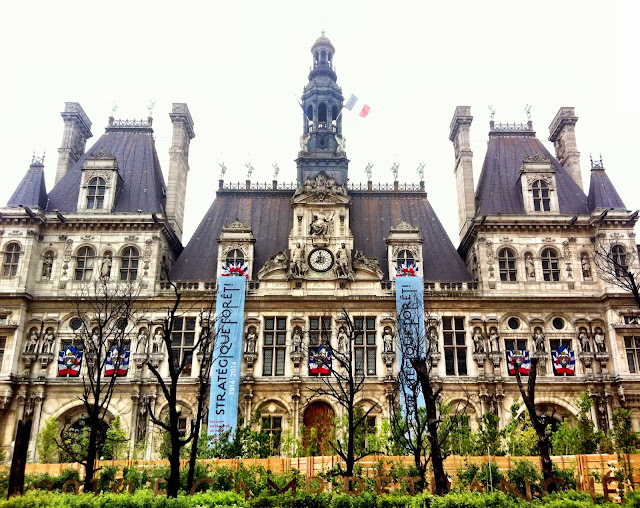 There's a new exhibition in town at Hôtel de Ville (the Paris Town Hall) and it's free for all. 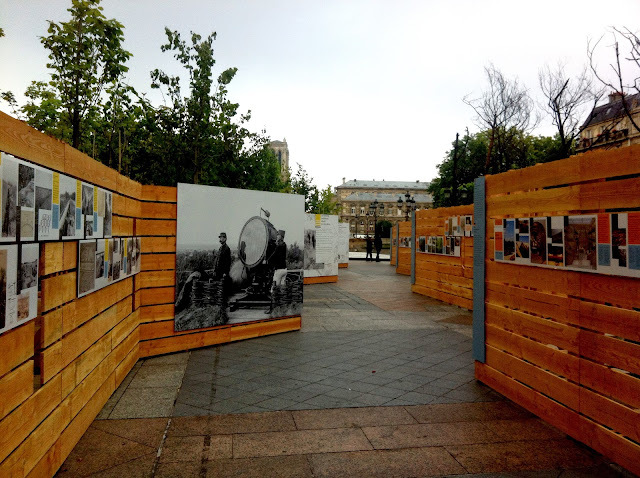 As part of the World War I Centenary Commemoration (1914-2014), this exhibition aims to demonstrate the role of forests in terms of contribution to the war effort, as well as the reconstruction of destroyed forest landscapes. 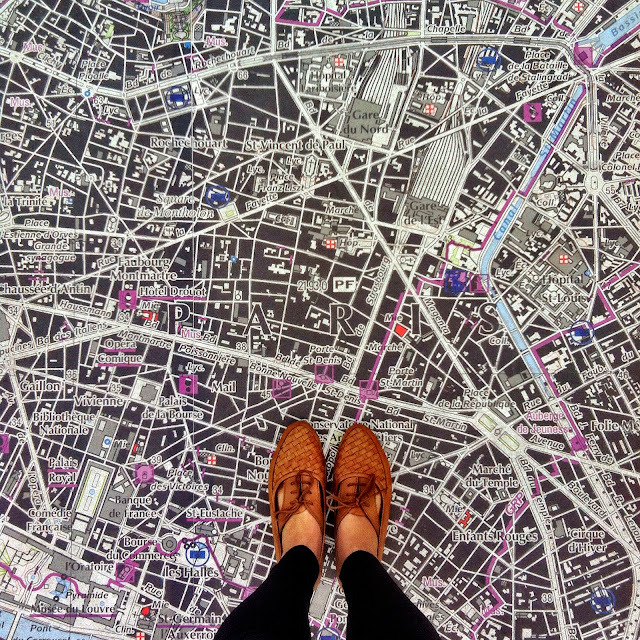 Running from June 15th until June 29th, it's an impressive set up with two GIANT 20 X 25 metre maps laid out in from of the town hall, creating two 500 square metre maps. 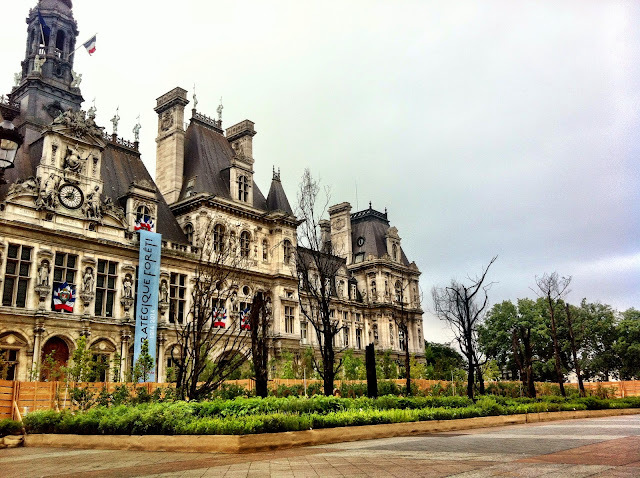 Large enough to walk around, it's a great way not only to 'explore' Paris both in the present 2014 and the past 1914 but also to revisit those memorable places that are special to you and only you in Paris. 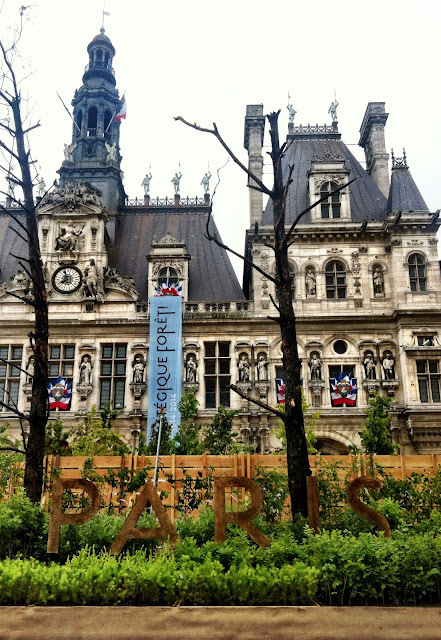 Everyone who has been to Paris has a personal memory of Paris. Somewhere that immediately transports you back to that very moment you stepped into your very first apartment, your very first hotel, your favourite little street. A flashback to your favourite area, your favourite little shop, your favourite park, where you first got lost. A little reminder as to where you first fell in love with this beautiful city. 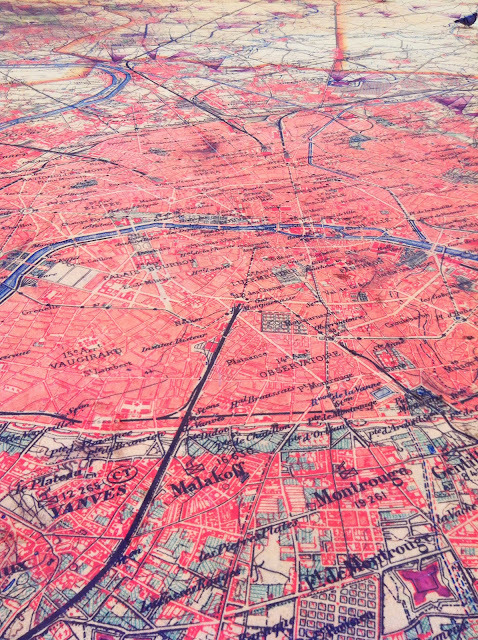 You will be able to find the exact location on the Paris 2014 map on your right, then trace back to the identical location in 1914, on the map to your left. It's a little bit of time travelling as you shuffle from side to side, and great for the kids as well to see how many landmarks they can recognise! 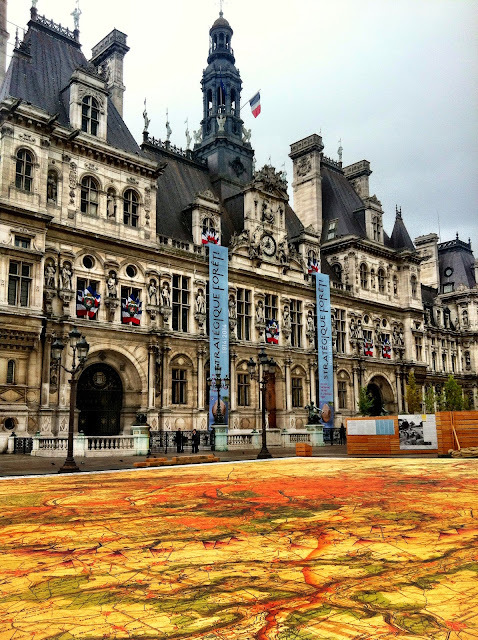 So, one morning I decided to wake up extra early in order to check out this exhibition - without the crowds. It was nice to have it all to myself except for a passer by here and here, and a man who stopped to walk around the maps on his way to work. 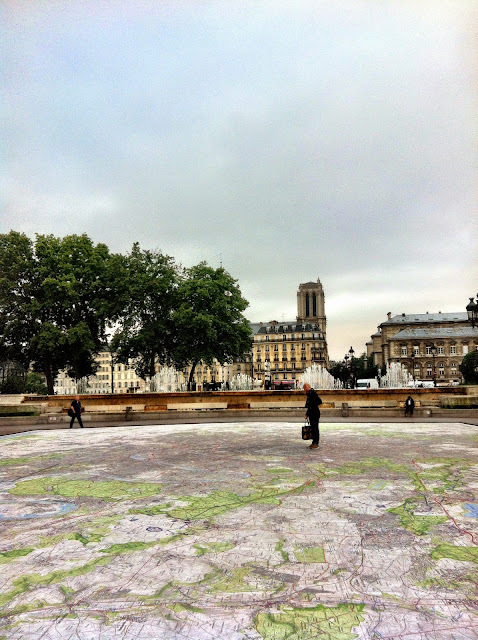 This is the map on the right, closer to Notre Dame and away from the Marais - it shows the evolution of Paris and the Ile de France area. 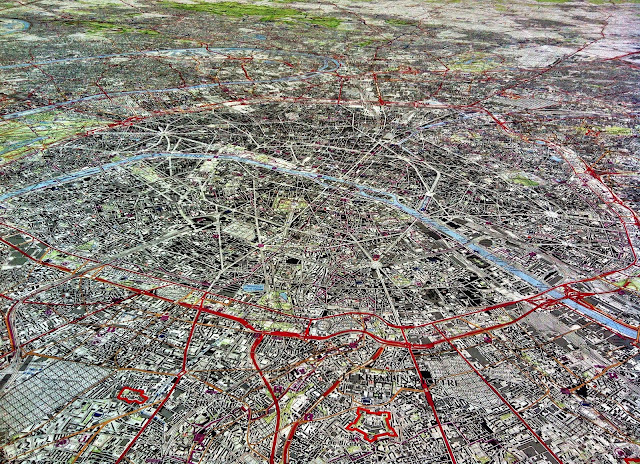 It reflects what Paris looks like in 2014, each 1 m on the map is equivalent to 3 km in real life. This is the map closer to the BHV department store, further away from the bridge. 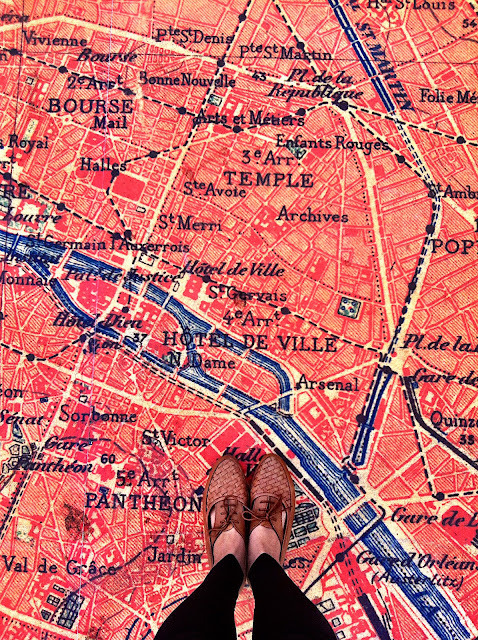 This is where it gets interesting as this is the map of Paris from 1914, showing military bases and what Paris looked like at the beginning of the war, 100 years ago. 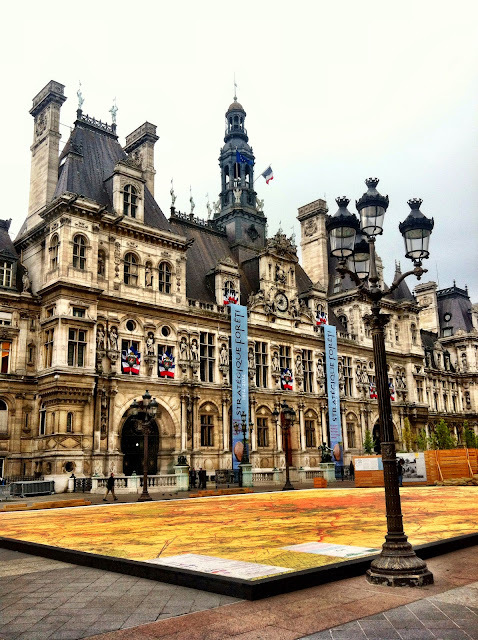 Here we are - 100 years ago and now 100 years later, standing right at this very spot, Hôtel de Ville. 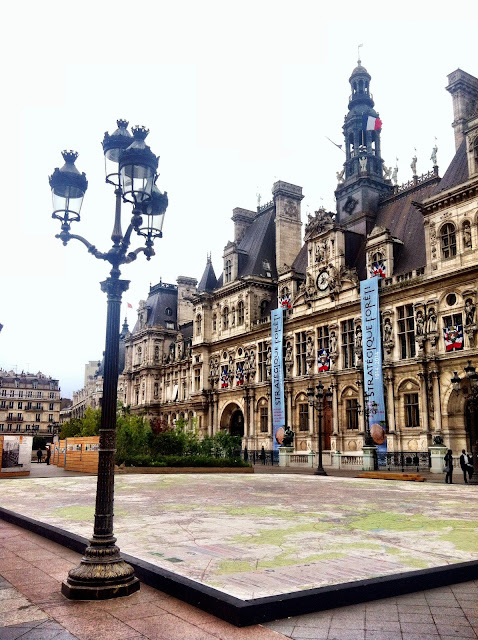 And there we have it, Paris in 1914 on your left and Paris in 2014 on your right. 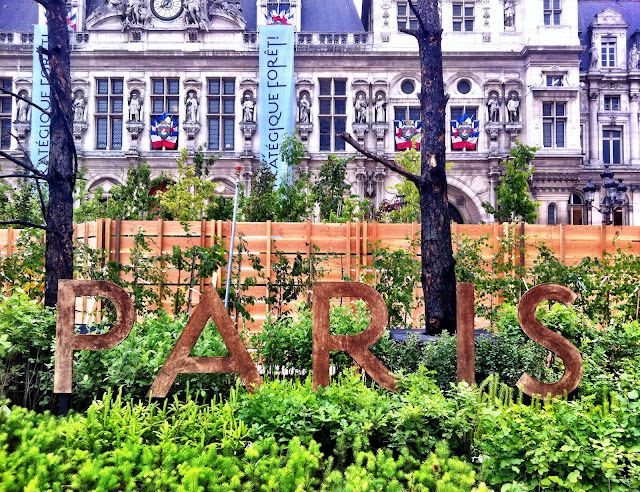 Come check it out between now and June 29th - right outside metro Hôtel de Ville, it's outdoors and therefore open 24/7 to everyone and anyone, free of charge!